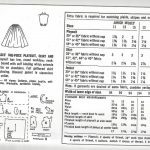 View basket “1954 Vintage Sewing Pattern W32 FLARED PETTICOAT (R934)” has been added to your basket. 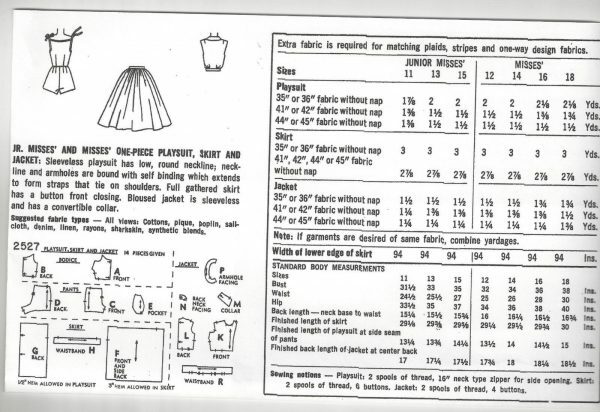 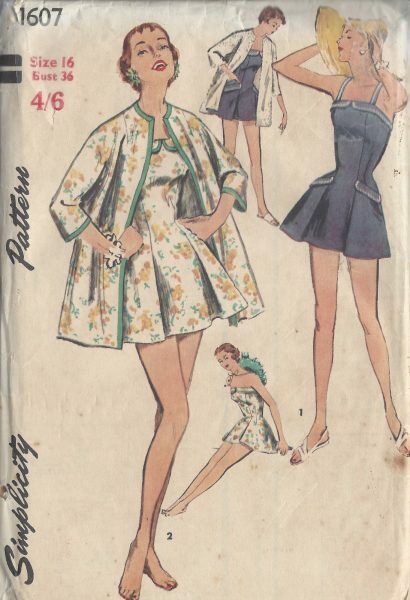 ~ Please Note: You are buying a ‘Professional Digitally Reproduced’ copy of this sewing pattern (copied from the original sewing pattern), produced in ‘Full Scale Pattern Pieces’ ready to cut with full instructions included. 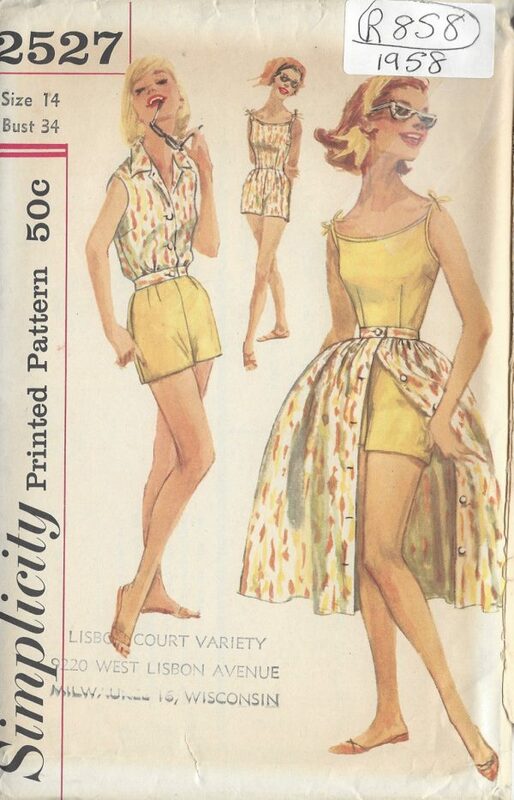 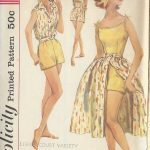 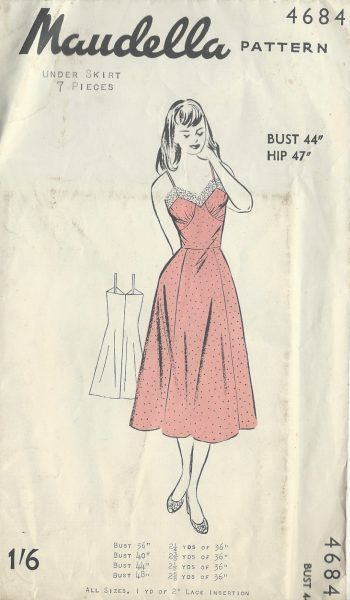 I have a vast collection of ‘Original Vintage Sewing Patterns’ ranging from the 1930s-to-1970s which are precious to me, so I decided to have copies professionally made to a very high standard by a reputable printing company. 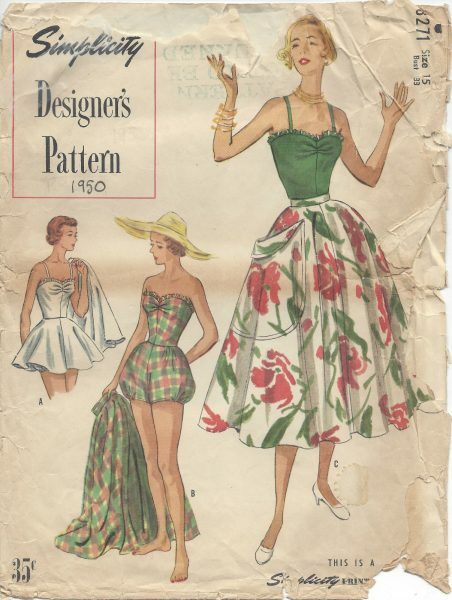 Therefore part of my collection of sewing patterns are reproduced to this quality high standard, on 50 gram paper with black ink. 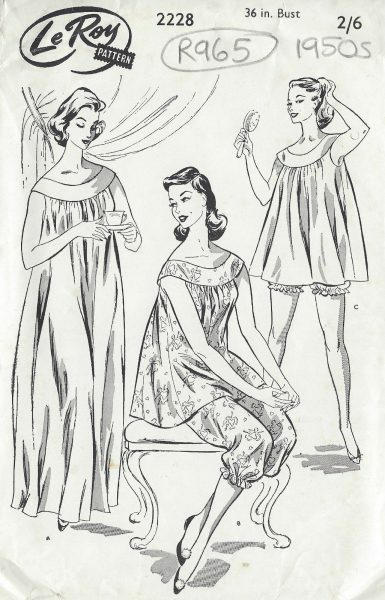 This will ensure a much longer lasting effect and easier to be used again and again. 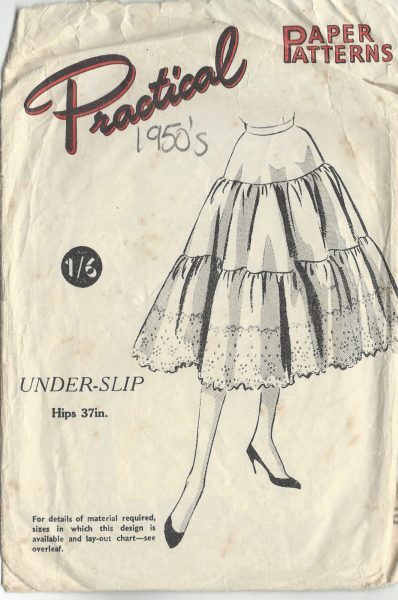 Also included with this product is: a plastic bound ‘Booklet’ giving instructions and Illustrations on ‘How to Adjust Your pattern to your Personal Measurement’, ‘Personal Measurement Chart’, ‘Body Form Illustrations’, ‘Note Pages’, ‘Garment History Page’ and ‘Fabric Worksheet’; all to facilitate with your pattern.